d). 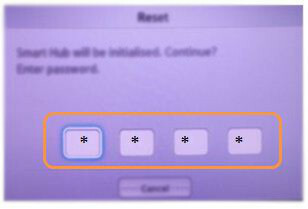 Enter the default password as '0000' . Smart Hub automatically resets and displays 'Reset Complete' confirmation message. Press 'OK' to complete the reset process. Which Video Input cable is the best to provide good quality video display?